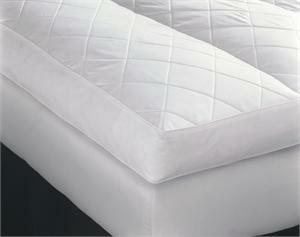 This Classic Featherbed is divided into vertical channels and has a 4” high gusset, similar to a mattress. A diamond quilted top provides extra comfort and durability, making this featherbed a most welcome addition to your bed. We include a removable cover, as featherbeds cannot be washed.